Sometimes, in life, you just need a good quick meal. 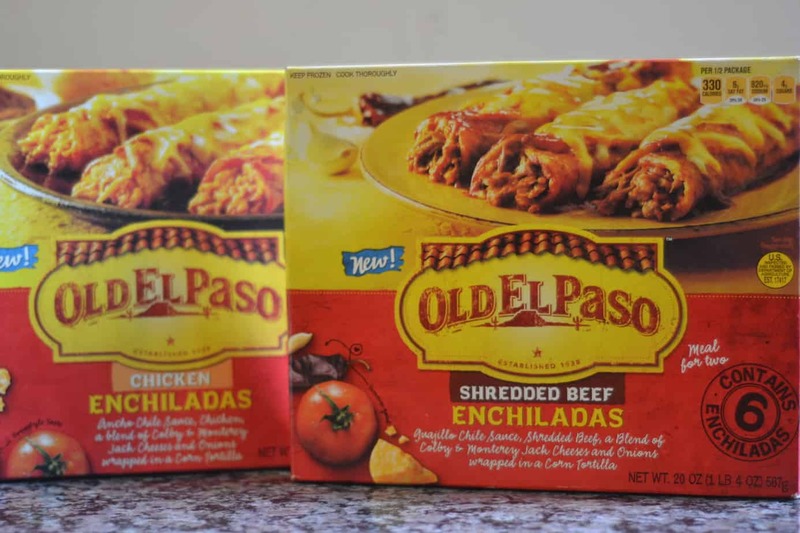 Old El Paso provides quick frozen meals that will fill your bellies in a pinch. Now with summertime in full swing, no matter what the calendar may say, time is going to get even more precious, because summer activities will begin. With that being said, who has time to slave over a hot stove! 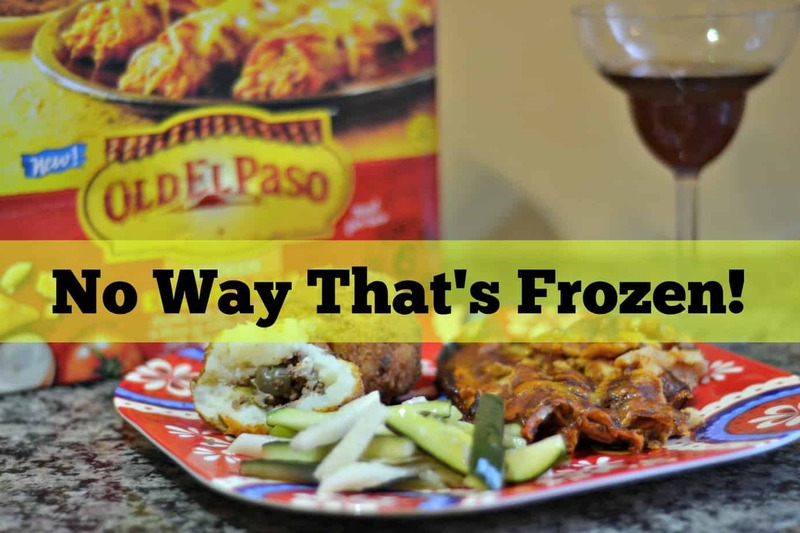 Enter Old El Paso, and their frozen enchiladas and burritos which can be microwaved or cooked in a traditional oven. While it’s not your conventional enchiladas, the taste is pretty decent. 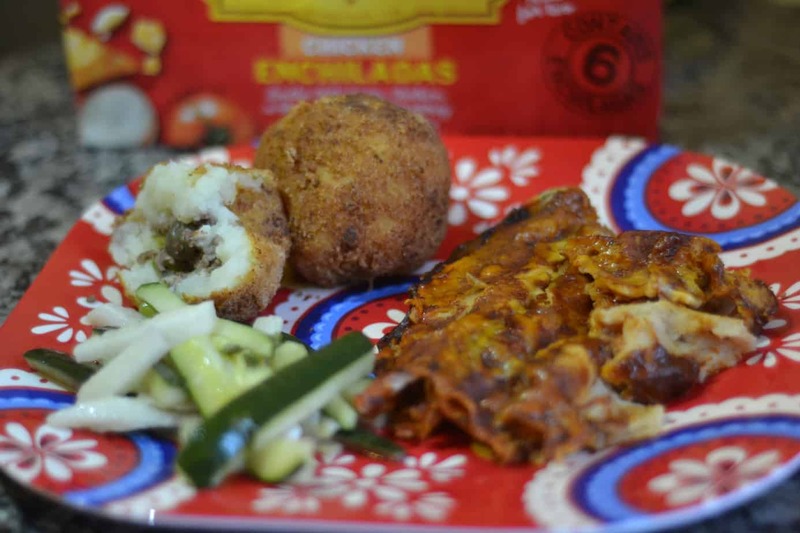 I do enjoy adding side dishes, and in the photos included, you’ll see a jicama and cucumber salad along with papas rellenas, which took a little longer to make, so they dictated when this meal actual came together. Making sure that you watch your time is also very important. Ask me how I know. You guys must also know that I love Old El Paso because they support the Box Tops For Education Program that I will still be involved in even though the cellist is moving on to high school. I just don’t feel that I have to stop collecting just because he’s moving to high school. Our schools are definitely suffering, and even with him moving from public to private school, I feel it’s my duty to still do what I can to provide SOME financial reprieve in the form of collecting. Now back to the frozen dinners. In our home we like things a bit cheesier, so we would have dressed this up with a bit more chihuahua cheese, and some avocado. We had neither at the moment, so we went with what we had. It was a bit spicy for me, but the littles and Mr. Houseful gobbled it up. Like I said, it’s a great quick meal in a pinch. Have you tried any of their frozen meals? They also have burritos and quesadillas! Most of the time, those items are grabbed by the cellist after school or on a Saturday for lunch. It helps me out a lot, because his eating seems to be non-stop! I received complimentary product vouchers from PlateFull Co-Op to try these items. All thoughts and opinions are my own. Melanie Thompson-Ott liked this on Facebook.